I’m back, fellow bloggers and readers! I hope none of you thought I had died. Two things have been going on that have kept me from blogging. I just had to get THE TYCOON finished, which I did. Unfortunately, my *real* job consumes so much of my energy and time, I just don’t get anything done during the four days I work, so I had to dedicate my three days off to nothing but the book. I already have the cover. I’ve just applied for a copyright and now I’m on a quest for a couple of beta readers and a copyeditor. One thing I’ve learned is copyeditors are expensive! I’m going to release it as an e-book, but soon I will put it into print as a paperback. Finishing a book is a weird letdown. All of a sudden I feel like I’ve got nothing to do, though in fact, I do have plenty to do to launch the book. But I’ve lived with this particular one and its characters for more than two years now. So giving them up is almost like abandoning the family pet. I know from the past that for a few days, it will just feel like something important is missing from my life. I’ve posted the blurb for THE TYCOON before, but it’s been a while, so here it is again. “When DRAKE LOCKHART, wealthy Texas ranching scion and business tycoon, meets a stunning redhead at a fancy ball, the last thing he expects is a tryst he can’t forget, followed by her disappearing in the middle of the night. Every minute spent with the vulnerable beauty has left him hungering for more. So what do you think? Does the blurb make you want to read it? I also have a new Web site being designed. Hopefully, it and the new book will launch at about the same time. 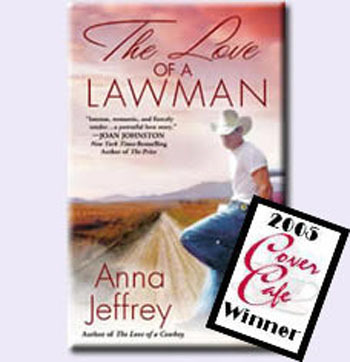 Now I’m on to working on THE LOVE OF A LAWMAN, which was originally released in 2005, getting it ready to upload. Too bad I can’t use the same cover because that cover won an award. The second thing that has been going on is I put my 2003 release, THE LOVE OF A COWBOY, in the Amazon Kindle Select program. Since it’s a nine-year-old book, I was amazed and humbled by the number of readers who downloaded it when it was free and and bought it after the free promotion ended. It stayed at #1 on the Top 100 Free Downloads in the Kindle store all five days and remained on the top twenty list for nearly several weeks. That was more than I had hoped for when I started the promotion. That kind of reception lessens some of the trepidation I have about releasing THE TYCOON. Since I haven’t self-published an original book before, obviously, I’m a little nervous. I’ll keep you posted.